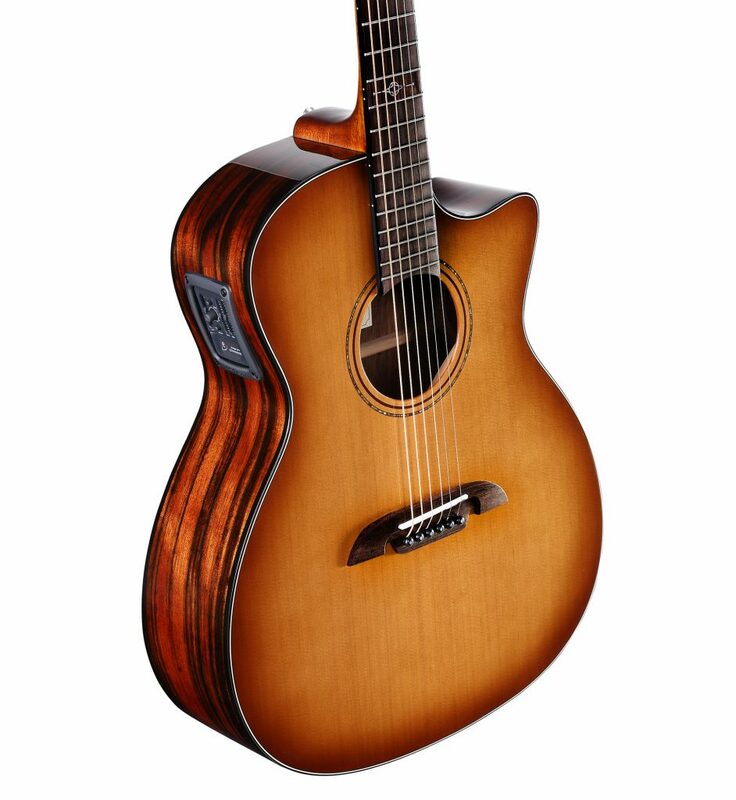 The AGE95CESHB is a beautifully developed Grand Auditorium with quite a rare and inspired pairing of tone woods. 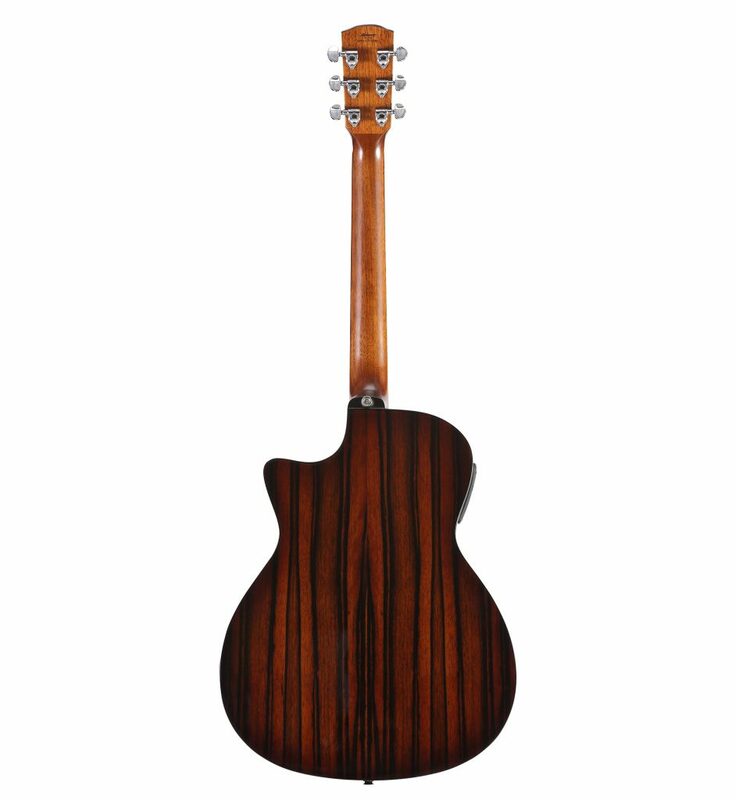 It’s AA North Western Red Cedar top and Macassar Ebony body gives this guitar a really warm and open voicing with darker trebles and clear bass. Aesthetically the guitar is stunning with a lighter shade of our standard Shadowburst carefully crafted to let the grain of the wood stay visible right to the edge, where it is met with Ebony binding. 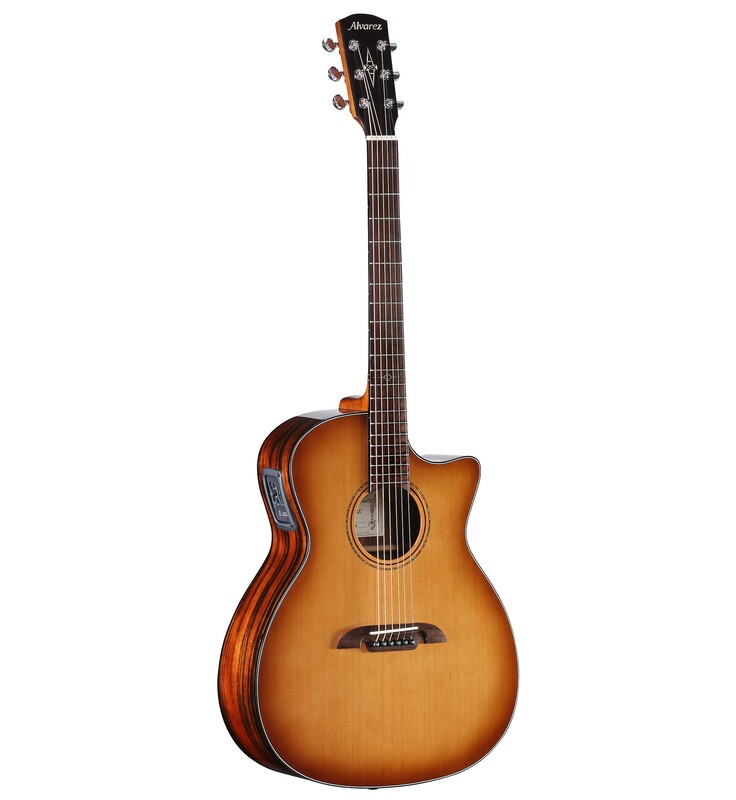 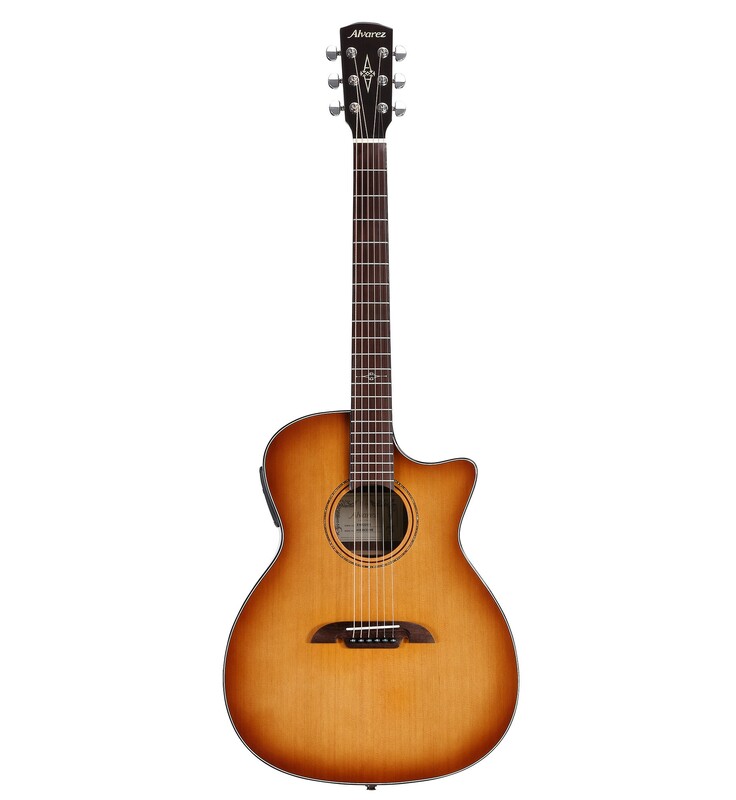 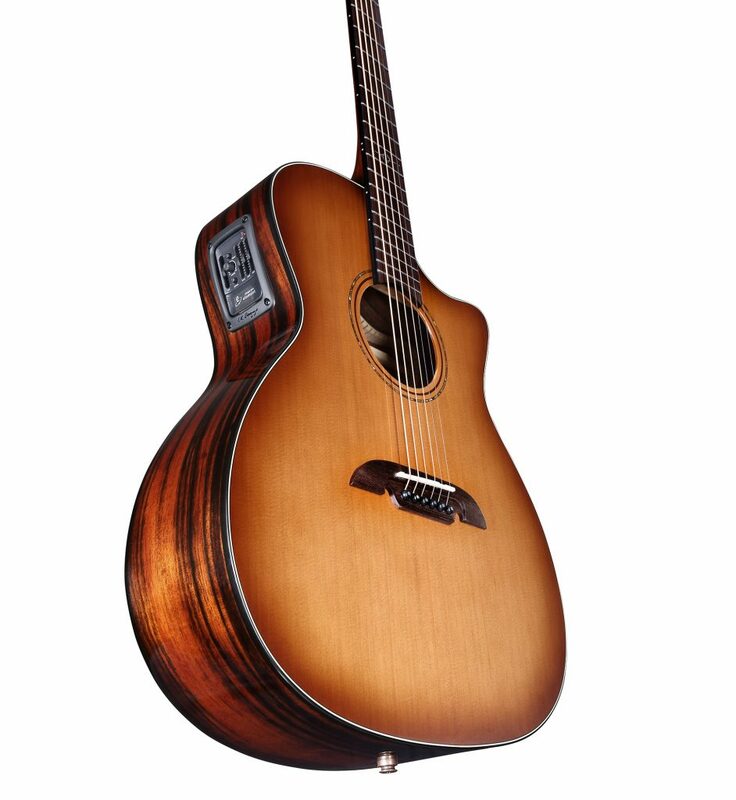 This is a really great guitar with a true character to its sound and looks exceptional.